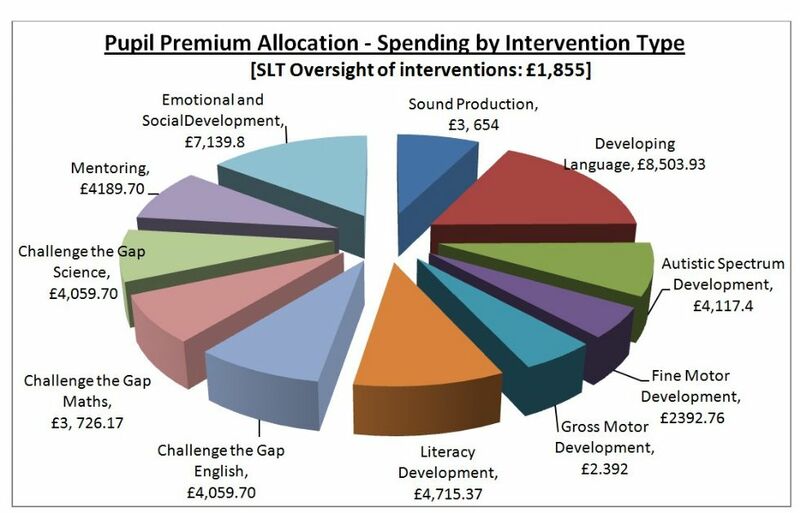 Pupil Premium funding in 2013-2014 was targeted at specific groups of pupils in order to provide additional support and resources to narrow the attainment gap. At Woodfield Pupil Premium is dedicated to securing our learners' inclusion in and beyond our school, both now and in their future. All funds are dedicated to staffing intervention programmes, designed to overcome barriers to our students' reaching their academic, social and vocational potential. Each year focus areas are chosen in response to pupil need. SEN - Developing Fine and Gross Motor Skills and life skills for our Autistic students. Behaviour, Social and Emotional Support - Mentoring and Emotional and Social programmes. Challenging the Gap in Key Stage 4 - Targeted support in English, Maths and Science. Pupils' programmes will be shared with families and staff through a 'Learning Journey' document, to recognise their achievements and help them maintain their goals. The Pupil Premium Impact Statement for 2013-2014 is downloadable from the link below.